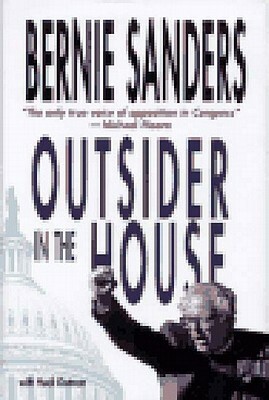 Outsider in the House gives the inside scoop on Sanders’s discussions about class politics with Bill Clinton in the Oval Office, his battles with the often Byzantine politics of the House floor and his encounters on the campaign trail in Vermont. It provides a penetrating critique both of a growing rightward movement in US politics and the failure of the two-party system to represent working people in America. Scrutinizing the battles on the Hill and across the nation over welfare reform, health care and NAFTA, Sanders lays bare the powerful forces which have produced the most inequitable distribution of wealth in American history. But he outlines, too, the positive role that Congress could play in protecting working Americans by introducing an Alternative Budget which would slash military spending and corporate welfare and use the savings to rebuild America’s human and physical infrastructure. Here, in a passionate and personal voice, is the story of one man’s battle against the chimerical choice presented by the Republicans and Democrats. Others must follow the path that Congressman Bernie Sanders has taken before US democracy can be revived. Outsider in the House is a compelling signpost for that most difficult of political journeys. Bernie Sanders was elected to the U.S. Senate in 2006 after serving 16 years in the House of Representatives. He is the longest serving independent member of Congress in American history. Early in his career, Sanders was director of the American People's Historical Society. Elected Mayor of Burlington by 10 votes in 1981, he served four terms. Before his 1990 election as Vermont's at-large member in Congress, Sanders lectured at the John F. Kennedy School of Government at Harvard and at Hamilton College in upstate New York. Huck Gutman, a long-time political collaborator of Sanders, is Professor of English at the University of Vermont.